Studies have shown that a structured yoga practice during cancer treatment can radically improve physical symptoms such as pain and fatigue. Additionally, according to a Harvard Medical School Mental Health Letter, yoga reduces stress and anxiety which in turn reduces heart rate, lowers blood pressure, and eases respiration. What’s more, patients who practiced yoga were also less sensitive to pain than subjects who did not, and therefore better able to tolerate treatment. In other words, guided breathing exercises enrich the respiratory system to regulate nerves that can deeply calm both mind and body. 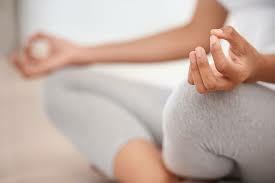 Yoga activates this relaxation response and can thus help relieve feelings of anxiety. With the aid of supported inversions to increase circulation and guided meditation/deep breathing to let go of grief, fear, and foreboding, you can actually re-pattern and calm your stress cycles. It’s a fact — exercise produces endorphins and endorphins improve your mood. A regular yoga practice, no matter how gentle the movements, allows the body to release endorphins so you can instantly experience a positive boost in mood. Several studies also suggest that yoga can increase the level of gamma-aminobutyric acid, a neurotransmitter that plays a key role in regulating the nervous system and managing your mood and outlook. In addition, a regular yoga practice can boost self-esteem because you feel better about your appearance, strength, and overall physical condition. Beside the well known and painful physiological side effects of cancer treatment, emotional stress can also produce physical pain. Moderate, appropriately modified physical activity aids in managing the physical pain that can be experienced during treatment, and research has shown that women who practice yoga specifically when in recovery report reduced pain and stress. A support system is crucial to coping with the emotional toll of cancer, not only for those suffering from the disease but for their loved ones as well. There is great value in the support of community for those in any stage of remission, meeting and talking with others who understand what you’re going through. Whether it’s a group setting or an online meet-up, engaging with others in a similar situation can provide a sense of normalcy and security. So, even if you’re not in treatment yourself but have a loved one who is suffering, yoga can serve as a way to help you both deal with your emotional stress. You can take a class together or even practice at home with online videos. Either way, the calming effects of yoga provide a physically and emotionally beneficial activity you can do with each other, allowing you to connect on happy and positive terms. In 1971, Sat Jivan Singh Khalsa moved to New York to open a yoga studio. A lawyer moonlighting as a Kundalini yoga teacher, he set up shop in Boerum Hill, Brooklyn, opening a school to share the teachings of the spiritual leader Yogi Bhajan. At that time, there were only two other yoga studios in the city. Perhaps inevitably, yoga’s journey from ancient spiritual practice to big business and premium lifestyle — complete with designer yogawear, mats, towels, luxury retreats and $100-a-day juice cleanses — has some devotees worrying that something has been lost along the way. The growing perception of yoga as a leisure activity catering to a high-end clientele doesn’t help. “The number of practitioners and the amount they spend has increased dramatically in the last four years,” Bill Harper, vice president of Active Interest Media’s Healthy Living Group, told Yoga Journal. Of course, much of yoga’s appeal is the fact that it can be traced back roughly 5,000 years — in a world of exercise trends and diet fads, it’s a tradition that has stood the test of time. Traditionally, Yoga (Sanskrit for “divine union”) has one single aim: stilling the thoughts of the mind in order to experience one’s true self, and ultimately, to achieve liberation (moksha) from the cycle of birth and death (samsara), or enlightenment. Others are more optimistic about the evolution of yoga in America, welcoming the conversations and occasional yoga-world infighting that have accompanied its rise. Of course, much of yoga’s appeal is the fact that it can be traced back roughly 5,000 years — in a world of exercise trends and diet fads, it’s a tradition that has stood the test of time. Traditionally, Yoga (Sanskrit for “divine union”) has one single aim: stilling the thoughts of the mind in order to experience one’s true self, and ultimately, to achieve liberation (moksha) from the cycle of birth and death (samsara), or enlightenment.The Westernized, modernized form of the ancient practice expresses just one component of what was originally considered yoga. The physical practice of postures, or asana, is one of eight traditional limbs of yoga, as outlined in the foundational text of yoga philosophy, The Yoga Sutras of Patanjali, thought to be over 2,000 years old. These limbs present a sort of eightfold path to enlightenment, which includes turning inward, meditation, concentration and mindful breathing. The Sutras make no mention of any specific postures, but the original 15 yoga poses were later outlined in the Hatha Yoga Pradipika, dated to the 15th century CE, making it one of the oldest surviving texts of hatha yoga, the yoga of physical exercises. Balancing the old and the new is the “number-one challenge” for the Yoga Alliance(YA), the largest nonprofit association representing yoga teachers, schools and studios, according to CEO Richard Karpel. The rise of “spiritual but not religious” has supported this return to yoga’s traditional teachings. More than 1 in 3 Americans describe themselves as spiritual but not religious, according to a 2012 Pew Forum survey.